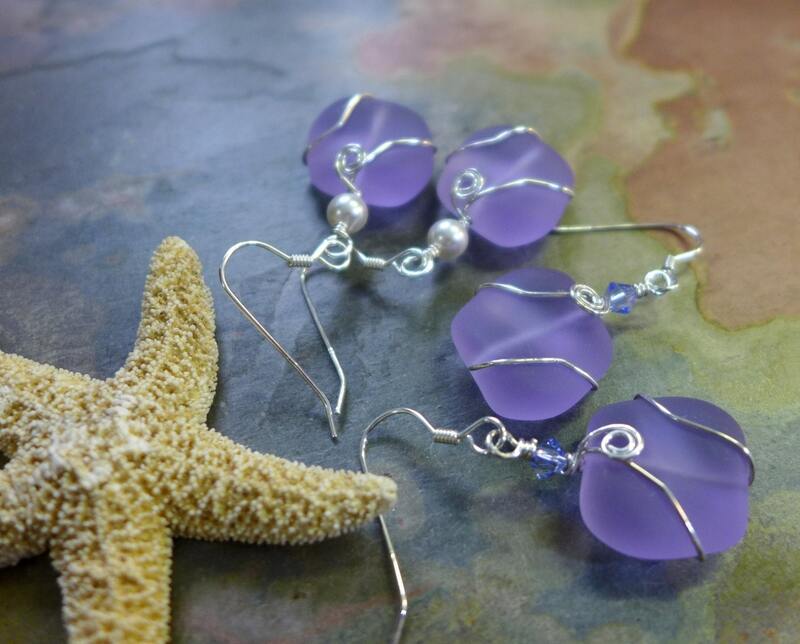 Beautiful lavender sea glass! 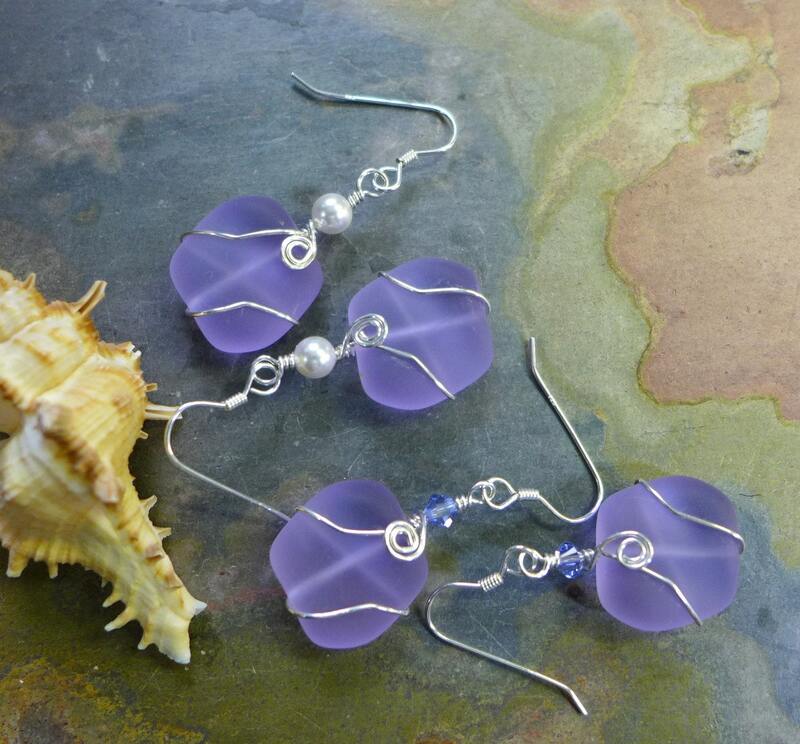 ~ in shade of periwinkle/lavender !!! 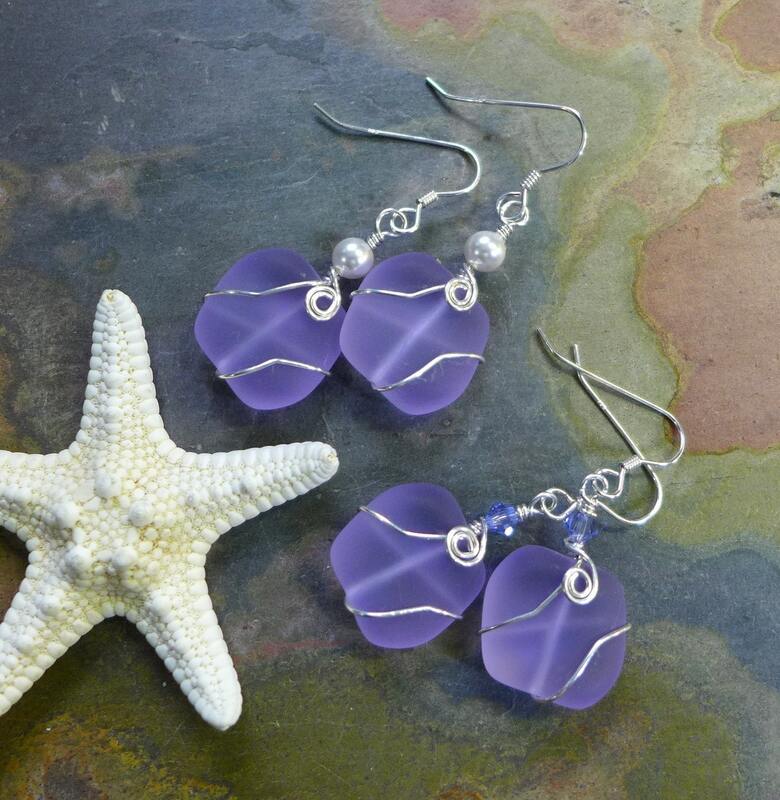 These fun, colorful earrings are carefully Wire Wrapped with .925 sterling silver wires on recycled unique, wavy nugget sea glass beads approximately 18 x 17mm. They are dangling down from crystals, Swrovski white pearl beads. They dangle nicely slightly over 1 inch from the bottom of the .925 sterling silver earwires.